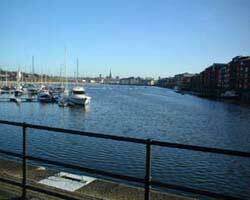 A 3 mile walk from Prestons Albert Edward Dock, along the river, through the parks to the town centre, a coffee, Harris Museum, St Walburgs and back. 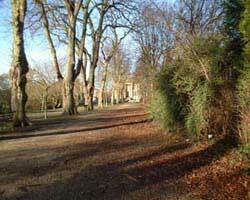 Description followed by photographs. Start in the car park on the north west of the dock, across from MacDonalds. 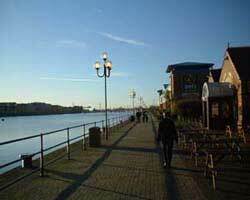 Round the west end of the dock and over the swing bridge. Along the south of the dock side next to the warehouse apartment conversions, past the cinema, then right. Past the car showrooms, to Strand Road, head right / south. Cross the A59, Fishergate into Broadgate. On the right of the car park is the marina. This was once the Irish Ferry area where the roll-on/roll-off container traffic would load. Later a large specialised container crane was bought. Across the swing bridge, now a very modern affair. Where trains of oil and tar crossed to the oil storage area in the dock basin. The apartments used to store banana's and fruit. Follow the river on the north bank up to Miller Park. 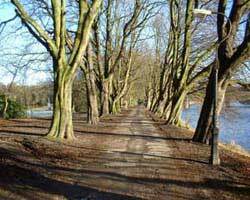 Walk through Miller and Avenham Parks along the river side up to the Tram Road Bridge. At the Tram Road Bridge turn left up the hill. 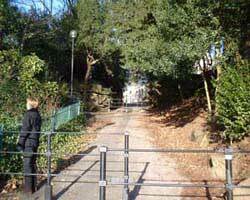 Past the Park Shelter and right almost reversing direction to the steps up onto Avenham Parade. Appreciate the end house and climb the steps. Walk towards the Harris Institute and take the street on the right of it. Along Broadway a nice road although not as well kept as it once was. Past the Boddingtons pub, The Continental. Miller Park is a fine ornamental park with a bird cage and fountains. 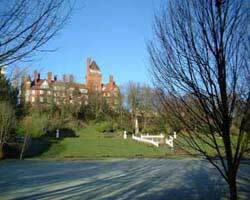 Overlooked by the old Park Hotel which was linked to the railway station. 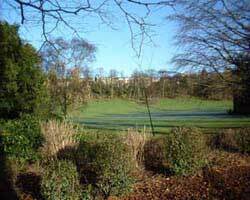 Avenham Park is a natural ampitheatre where the festivities of Preston take place. Nice rockery. 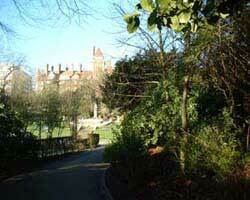 Avenham Parade gives good views across the park. Follow it round and then turn left towards Winckley Square. 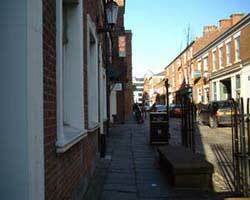 Go across the square and into the pedestrianised street in the centre of the north side. Nice cafes. Turn right on Fishergate, the main shopping street, and head towards the Miller Arcade a nice elaborate 19th Century shopping mall. 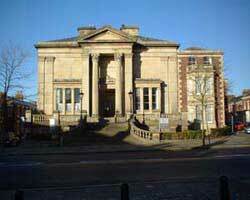 The Harris Museum, Prestons flagship building, is on the north side of the Miller Arcade. 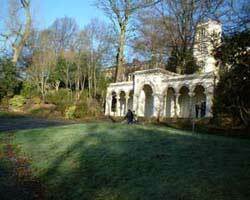 Spend some time in the Museum which has an award of one of Englands Hidden Gems. 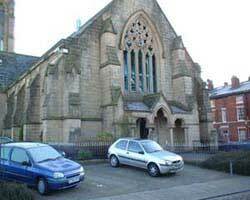 Continue the walk by heading north west to Friargate which is a main shopping street next to the War Memorial. Look back at the Harris Museum, this is its best face and the place where civic occasions are held looking over the old flagged market square. Go to the end of Friargate, crossing Ringway. 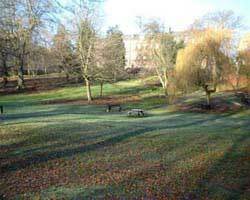 Winckley Square is the area of solicitors and insurance offices and is a fine Georgian sunken square full of trees. 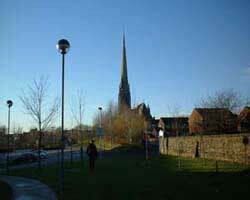 You will see the spire of St Walburgs, cross the double round about and go towards the spire. Pass the spire and go towards the Church Tower next to the Railway line, this is St Marks. Turn left at the end and head back to the docks. St Walburgs is one of the highest steeples in the UK and has a very elegant shape. Favoured by train photographers as a backdrop. 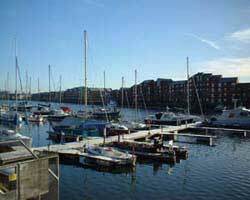 Preston Dock, marina. Tucked into the north west corner of the main dock. Close by pubs; The Navigation and The Pilot, a supermarket Morrisons, MacDonalds, Homebase, Multi-screen cinema, gym. On the south side of the dock are flats. Some are converted warehouses others new. Straight down the dock with St Walburgs spire in the distance. 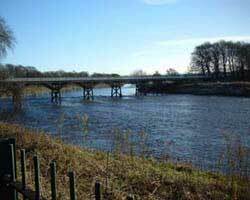 At the west end of the dock is a swing bridge and the lock gates that take you into the outer basin before entering the River Ribble. 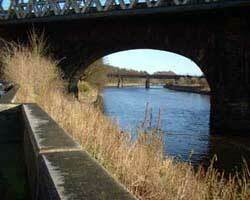 From the port turn into Strand Road and then follow the river at Broadgate until you reach the North Union Bridge. 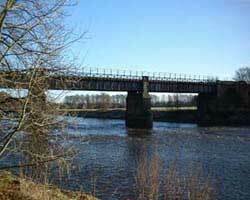 Built in the mid 19th century for the North Union Railway and now carrying the London to Glasgow West Coast Main Line. Through the North Union Bridge to the Lancashire & Yorkshire Railway bridge that used to carry trains from Preston to Blackburn and all stops beyond - Leeds etc. The North Union Bridge was widened with a girder section. Under the bridge and past the Continental Boddingtons Pub into the ornamental Miller Park. Above Miller Park is the Park Hotel built in the 19th Century and attached to the railway station. Now Lancashire County Council offices. The county council lost the plot when the box next to the hotel was built to accommodate the planning department. Statues, fountains, bandstand on Miller Park. 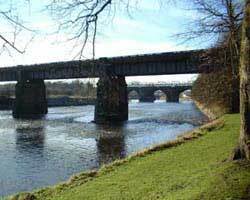 Lancashire & Yorkshire Railway bridge. 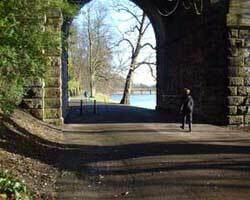 A walkway is on the east side of the bridge, steep climb up steps. 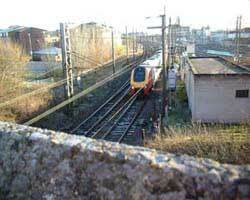 This track used to be for trains to Todd Lane Junction, Bamber Bridge, Blackburn, Accrington, Burnley, Nelson and Colne. There was a loop to Lostock Hall and one to Southport. Through the L&YR bridge to the tram road bridge. View from the other side of Miller Park. Under the L&YR bridge into Avenham Park. 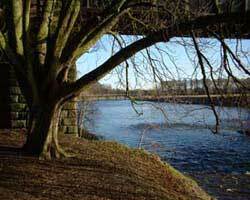 The slope out of the River Ribble valley used for rolling eggs at Easter. Natural ampitheatre. View back to the North Union. 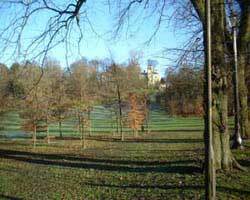 View to the houses on Avenham Parade from the park. Tram Road Bridge. 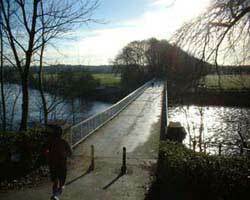 Built in the 1790's to carry loads from the Leeds to Liverpool canal at Higher Walton from the Preston to Lancaster Canal in Preston. A journey of 6 miles, horse drawn on tram tracks. A steam hauler pulled the trucks up the steep slope out of the valley on the north side of the bridge. The tram road now only goes to Lostock Hall some 2 miles south and is a gravel track. Tram Road Bridge. 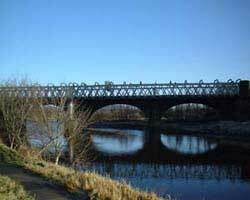 The original bridge was wooden. Up the steep slope from the bridge. 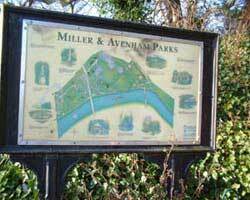 A map of the Miller and Avenham Parks. Public seating below Avenham Parade. Avenham Parade looking towards the Harris Institute, now part of the University of Central Lancashire. Harris Institute, formerly University of Central Lancashire building. Winckley Square, Prestons Georgian area for Solicitors offices. 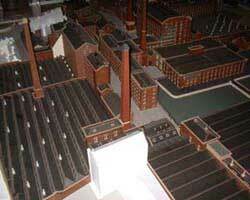 Inside the Harris Museum a model of the Horrocks cotton mills in 1900. St Walburgs spire. The third highest in England. West Coast Main Line. Virgin Train. Walking along the dock back to the car park.